This is the blog I wrote shortly after Dru was born in May of 2014. This is more of a journal entry for me. Although it probably sounds more like a labor horror story to most people, I want to always remember what happened and how I felt throughout these crazy weeks. 34 weeks, 4 days pregnant. Last belly picture, taken 1 week before Dru was born. I left work early for a doctor’s appointment, which lasted only 10 minutes. My blood pressure was 113/74, and everything in my pregnancy was going smoothly. After the appointment David and I went to the gym, I ran my usual 3 miles and was feeling great. Totally out of the blue my legs, ankles, feet, arms, hands, and face were all completely swollen. 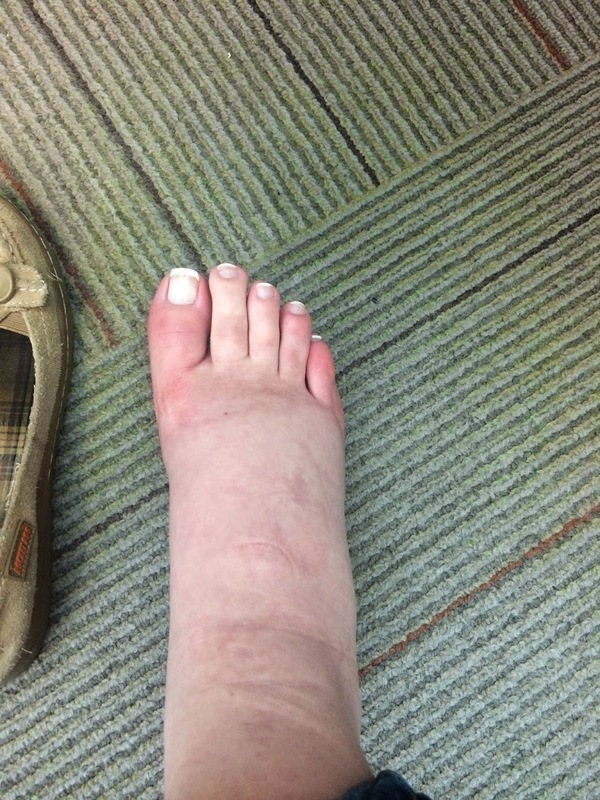 Even the day before I had absolutely no swelling. I had always heard that swelling was normal during pregnancy, so being that I was 35 weeks and 2 days pregnant, I figured I should just be grateful I only had to deal with it for a month and a week. Before lunch, I was sitting in my office and noticed tiny bright spots in my periphery flying around. For a minute I thought I was hallucinating, seeing tiny white bugs everywhere. They took us up to the OB floor into a small room. Before getting started, I asked how much this little “emergency visit” would cost. Anyone who knows David and I, knows that we are extraordinarily money conscious. We lived on wedding gift cards for over 2 years for heavens sake, we weren’t about to pay an exorbitant amount of money to be told that everything was fine! The nurse, Jan, was nice enough to call down to billing and figure out if it was considered and ER visit. Seriously, what is wrong with us? While in the room, just David and I, we were joking around and David even sent pictures to my family saying, “we’re having a baby today!” By the time the nurse came back in, we had come to our senses and decided that our baby’s health was more important than saving money, and we decided to go forward with being admitted and checked out. Jan put the blood pressure cuff on my arm and it began to fill. I had never in my life seen a BP number for myself read anything but low, so I was completely calm. Then a devastatingly high number read out from the blood pressure machine. David’s mouth literally fell open and he looked at me and very… enthusiastically said “LAUREN? !”At that point the nurse frantically called in the doctor who explained that blood work needed to be taken immediately to see what else was going on. A little startled, we waited for the labs to come back. The doctor came in as soon as the labs came back and explained that I had HELLP syndrome. HELLP syndrome is a life-threatening obstetric condition. HELLP stands for: H- hemolysis (breakdown of red blood cells), EL- elevated liver enzymes, LP- low platelet count. Basically, my red blood cells were killing themselves, and my liver function was declining rapidly. Not to mention, with a low platelet count, my blood could not clot properly and I could have internal bleeding. That being said, it became imperative the the baby be delivered as soon as possible for the baby’s health and mine. 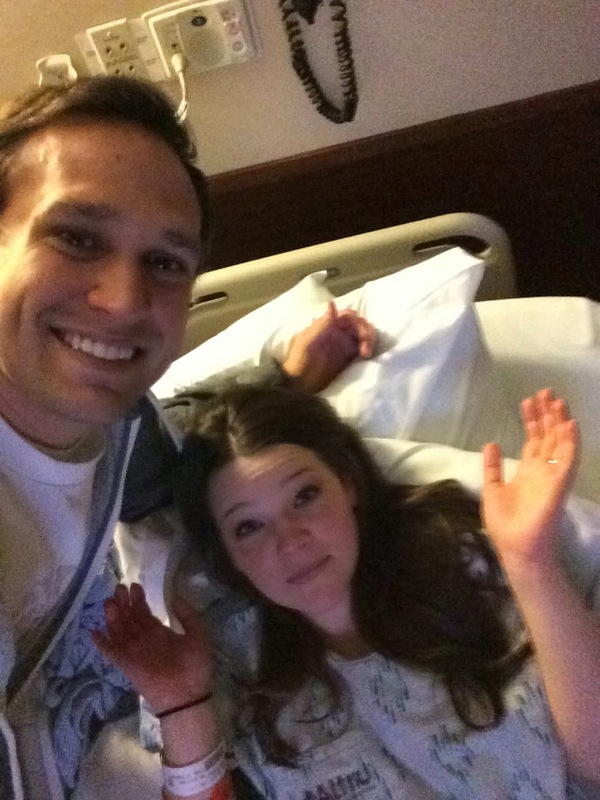 We were moved to a labor and delivery room, even though I wasn’t even dilated to a 1. Saturday evening they began to try to induce labor by ripening my cervix. Multiple doctors came in and explained to me that because my condition was so severe, if labor didn’t progress rapidly enough, a C-section would have to be performed before a blood transfusion, or other interventions would be medically necessary to prevent the syndrome from being fatal. Throughout the night they continued to give me medication to dilate my cervix. I had contractions all night, and by the morning I was dilated only to a 2. The doctor came in and said that he needed to break my water to hopefully make things progress faster. After a completely sleepless night, they started me on Pitocin to try and get the baby to deliver as soon as possible. They also started me on an extremely high dose of intravenous Magnesium Sulfate, which is the absolute worse. yuck. 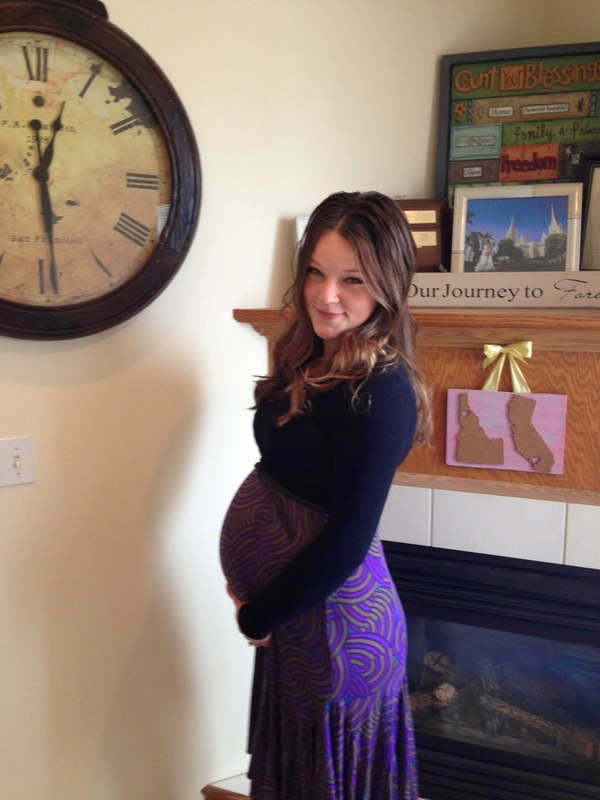 My HELLP syndrome had caused the doctors to become very concerned that a seizure could soon occur, which would be extremely harmful to me and the baby. Magnesium Sulfate is used to prevent seizures as it completely depresses the central nervous system. What it really does is it makes you feel disgustingly miserable. My muscles turned to jello, I couldn’t walk, talk, or even hold up my own head. My vision was blurred, and my head has never throbbed so painfully in my life. All this while it caused my skin to burn with heat. Oh yeah, and while all this was going on, I was having the most excruciating tetanic contractions. One more thing, because my platelets had dropped to such a dangerous low, it wasn’t safe for me to be on any medication. NONE. I couldn’t have an epidural, I couldn’t even have ibuprofen! By 3pm I was at my breaking point. I never screamed, I never yelled, probably because of the Mag, but I was totally done. They asked me what my pain was on a scale of 1-10. What a joke of a question. I answered 9 because although it was almost a 10, in my mind a 10 would be the point where I passed out and died. When the doctor came in I had David ask how bad my liver had to fail, and my platelets had to drop before they just did a C-section. I had been in labor for over 24 hours, so a new doctor was on-call. He explained that if my baby was taken out via C-section, being that he was only 35 weeks, his chances of surviving and thriving would be significantly lower. Basically, they were trying to find a balance between my life, and the survival of the baby. At that point I knew I just needed to suffer through for my baby. I clenched the side of my bed and completely silently suffered through the worst pain of my life. I should mention that I have never loved David as much as I did during that awful labor. He would whisper how much he loved me as he sat there and held my hand watching me writhe in pain. They checked my cervix at 3:30pm and I was only dilated to a 3. I remember how my tears felt cold as they rolled down my flushed skin when they told me that. The doctor decided that if by 6pm I had not dilated significantly more, I would need a C-section. What an awful thought, all of the pain I had already struggled through would be for no reason at all. My contractions were so intense, I cannot even put it into words, so I won’t even try. Even the memory of them makes me cringe still now. I have never felt pain of that magnitude and never will again. A little before 5pm I whispered to David that I felt I needed to push, he looked confused but relayed the message to the nurse. When they checked, the resident doctor was surprised to say that contractions must have been so forceful that I was fully dilated and the baby was ready to come. Following suit with everything else in this story, they could not find or get ahold of the doctor on-call to deliver the baby. For over 20 minutes, the nurses were coaching me on how to keep the baby inside, and resist the urge to push so they could find the doctor to deliver the baby. It was ridiculous. I had done a lot of reading during my pregnancy, and I can say that I never read about techniques for keeping the baby in during labor! When the doctor finally arrived, I began to push. In my memory, the pushing phase took a long time, but David insists that it was less than 15 minutes. Without getting too graphic, I will just say that anyone who says that the pushing was the best part of the labor must have been on an epidural, or is just plain crazy. The ring of fire is real. Finally, the doctor pulled his tiny body out and laid him on my chest. He was completely limp and not crying. His limbs had no tone, his body was totally flaccid from the Magnesium Sulfate. The Neonatologist quickly swooped him up and explained that he needed to be treated right away. Looking back, I know I was dangerously sick at this point because I didn’t even react to this awful news. I looked at David’s face and I could tell he was torn. He could leave his sick, barely conscious wife, or could abandon his brand new struggling son. I think he asked me what to do, but I’m sure I whispered go with the baby. The next few hours I don’t remember at all. I know my eyes were open because I have a memory of people taking my blood, asking me questions, checking my reflexes, etc. But the memory is in slow motion, and when I think about it it is like looking through a foggy window. 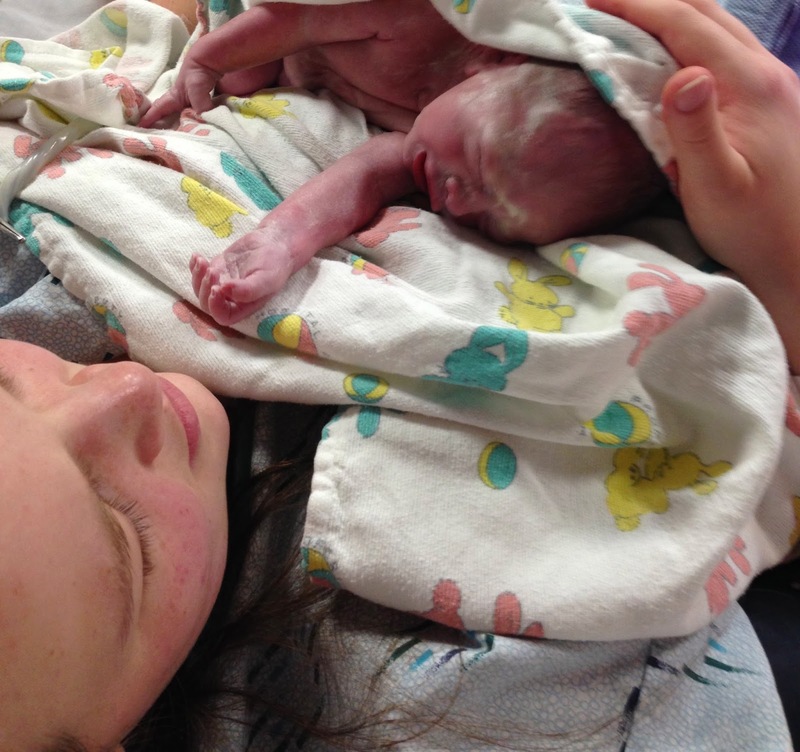 The cure to HELLP syndrome is typically to deliver the baby and the placenta. Usually after that the mother’s body can begin to recover. I remember them asking me my pain on a scale of 1-10 and I simply said that I couldn’t even tell because I was just so relieved to not be having any more contractions. Compared to the past 24 hours, nothing seemed painful. David had finally returned to my room and explained that they had hooked the baby up to the CPAP machine to help open his premature lungs. I looked over at him and we smiled at each other. I remember saying something along the lines of the worst is over, now let’s name our baby. Unfortunately the worst wasn’t quite over, we still had some more struggling in store. But we gratefully held hands and both decided to name our baby Dru, which is mine and my mom’s middle names. I suggested Dru David, David looked surprised and said, but will he like to have my name? Sweet, sweet, humble David. Duh! Don’t all little boys want to be like their Dad? So there it was, Dru David Parker, born at 5:17 pm weighing 4lbs. 15.9oz. I was still on the Magnesium and my body had still not recovered, but David picked me up and put me in a wheelchair, with tons of pillows to help me hold up my head to go see my baby. He was so beautiful. So perfect. I held him in my arms and tears just fell from my eyes as I looked at his face and kissed his tiny hands. I have never felt that kind of love before, so sweet and pure. It was devastating, but I wasn’t strong enough to hold him for more than a couple minutes. They wheeled me back to my room. Normally at this point they would transfer patients to a recovery room, but my recovery hadn’t quite started since I was still on the Magnesium. The doctor came in and explained that they would keep me on the Magnesium for another 24 hours. Before he left, he said that he never had seen someone handle being so sick, in so much pain, on so much Mag, while being induced on pitocin, handle labor so beautifully. Every nurse that had been involved came in at one time or another to tell me how impressed they were. Sheesh, too bad I will never have another baby because I’ve got a real knack for the whole labor thing! David and I tried to rest that night; however, on the Magnesium I had to be assessed every half hour and have blood drawn every 2 hours. So for the second night, I didn’t sleep at all, but I was just grateful to lay there and not have any contractions. 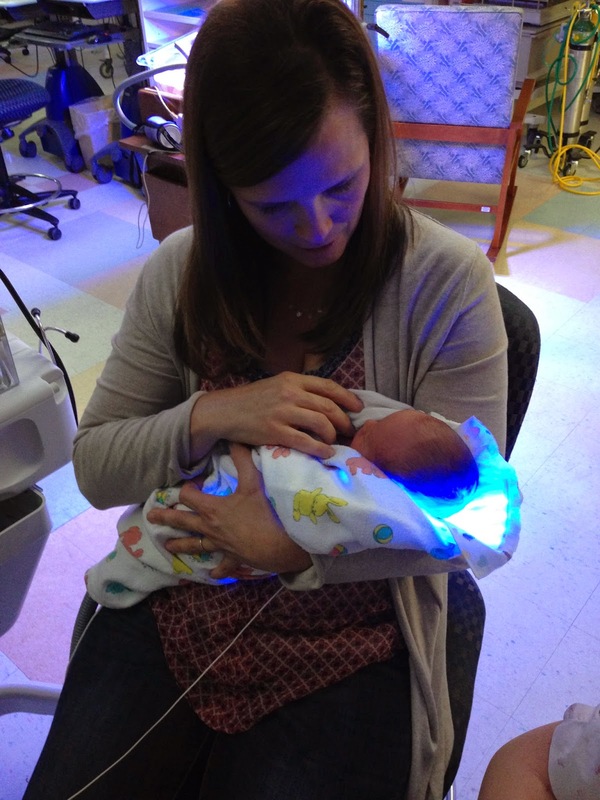 I started pumping right away so that my baby could be fed breast milk, instead of formula, through his feeding tube. David went to school again and my mom flew in at noon. I was feeling a bit better being off of the Magnesium and especially knowing my mom would soon be here. My doctor came in and said that I would be discharged. I was shocked. I explained that I was still not feeling well and that my BP was still not controlled. I asked to stay longer. He said he would “see what he could do,” and I didn’t hear from him again. This was the best day of the week, my mom got to hold my sweet baby, and being off of the Magnesium made me feel so much better! My mom stayed the night in the hospital with me so David could go home and finally get a full night’s rest. My blood was drawn at 6 am to check my liver, platelets, and hemoglobin. When the results came back, my doctor, the resident doctor, and fellow came in to my room and explained that the HELLP syndrome had only gotten worse. They took my blood pressure, which was a whopping 193/124. Just 24 hours earlier they were ready to kick me out of the hospital. I believe the doctor’s words were, “sometimes you just get lucky,” meaning it was lucky that I had asked to stay and not be discharged. Rather than my body recovering, it had continued to decline. He went on to say that I was at an extremely high risk of having a grand mal seizure, which would most likely cause permanent damage. They started me on another high dose of Magnesium Sulfate and blood pressure medication. He said I would receive the Mag for 24 hours. When they walked out of the room, tears began streaming down my cheeks. I was so disappointed and anxious about the looming pain. So beginning at 10 am a new IV was started and that awful medication was pumped through my veins. It was so potent it burned my veins as it circulated through my system. Quickly, my skin became flushed, my muscles turned to jello and the worse throbbing headache returned again. I couldn’t even see my baby because I was too weak. Blood was drawn every 2 hours, and I was assessed every half hour. Another sleepless night. In the afternoon, the Neonatologist came into my room and explained that the newborn screening showed that Dru had an abnormal result for a metabolic disease. With so much Magnesium in my system, I couldn’t even attempt to process this terrible news. My mental awareness while on Magnesium could be compared to driving 80mph, looking out the window and trying to concentrate on a piece of grass in close proximity to the road. Everything is blurred and the concentrating is exhausting. He said they would go forward with more specific testing and begin him immediately on medication for his condition. I was so relieved when 6 am rolled around and my blood was drawn to check my organs. I had made it through another 24 hours on the Mag and I was excited at the thought of getting better and finally getting to hold my baby. The doctors came in before 9 am and explained that my body was still failing rather than recovering. The Mag had to stay. This time, my tears didn’t even wait until the doctors left to begin falling. They said they would re-evaluate at 6 pm. An interval of time never seemed so long. My mom tickled my back and cried with me. 6 pm came, and my condition had once again gotten worse. Each time my reflexes were checked, the resident doctors and fellow would look at each other and gasp at my hyperreflexia and clonus. Come to find out, they were just waiting for me to seize at any moment. This was the lowest I have ever felt in my life. David had been back and forth between school and the hospital during all of this as he tried his best to prepare for finals. This night when he came, I was so weak, I couldn’t even look at him, or say hello. Not only could I not walk, talk, open my eyes, or even use the bathroom on my own, but I didn’t get to hold or see my baby for another day. There is no feeling in the world that I have ever felt that is as awful as longing to hold my baby. I remember thinking that Dru wouldn’t know my face, my smell, or even that I was his mom. It was devastating. I would sob until my little energy left was completely depleted. Every moment of the day and of the night, my body would shake. The nurses said it was a result of my syndrome and the medication, but it felt to me that it was shaking from being so overwhelmed with sadness. Throughout this time my mom did everything for me so David could study. She fed me, washed me, held up my shaking body while I went to the bathroom at a humiliating bedside commode, and gave my baby love while I was unable to. There never was a better mom than mine. My veins were so destroyed and my arms and hands were so bruised from the one hundred blood draws that had been done that they had to prick my fingers and collect drops of blood one by one. The 6 am labs came back, and of course, my body was continuing to fail me. I was so angry, and I felt so betrayed by my own body. I ran at least 3 miles everyday of my pregnancy, never ate fast or fatty food, and never took any medications not even Tylenol. Yet, my body just would not recover. It was at this point that I honestly wondered if Dru would ever know his mom. My body was failing, and I felt it. 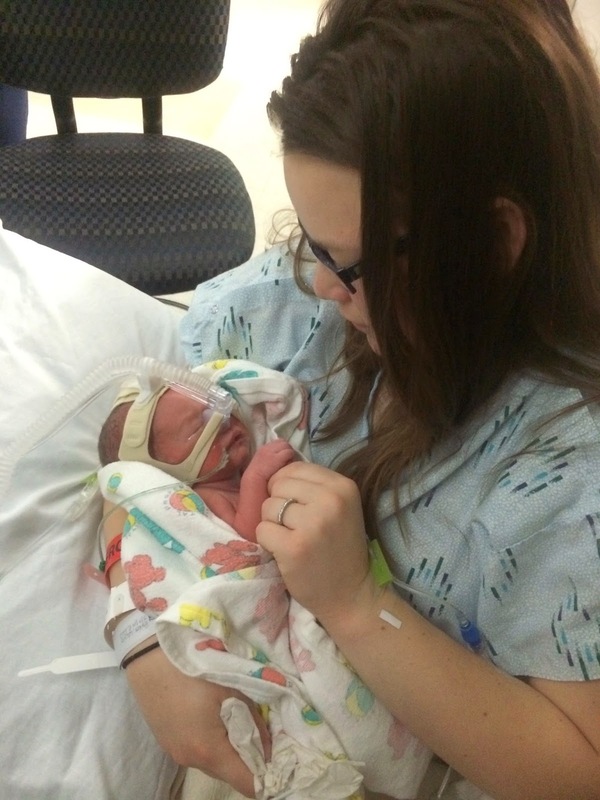 My body was so limp and weak, I couldn’t even have said goodbye to my baby if I wanted to. I felt totally heartbroken, and helpless. I said a prayer in a way I had never prayed before. Rather than asking Heavenly Father to remove the suffering and sickness from my body, I prayed for my David and my baby, then I asked the Lord to just sit with me for a while. I silently laid in that hospital bed knowing the Savior was nearby. I didn’t close my prayer, I just relaxed in the peace of knowing He was there with me, that I had him on the line. I felt that the Lord had sent this baby to earth straight from heaven, just for me. He chose me to be his mom, and I would get to be just that, the mom of the most special little spirit. Then I rested. I woke up to having my blood dripped out of me again. My mom then told me that my dad was on his way! He flew in his airplane to North Dakota to be with me and to meet my baby. There is something about a hug from your Dad that makes everything seem like it’s going to get better. Soon thereafter, the lab results came back and every single level had improved. By 3 pm I was off of the Magnesium and felt for the first time that recovery was in my future. 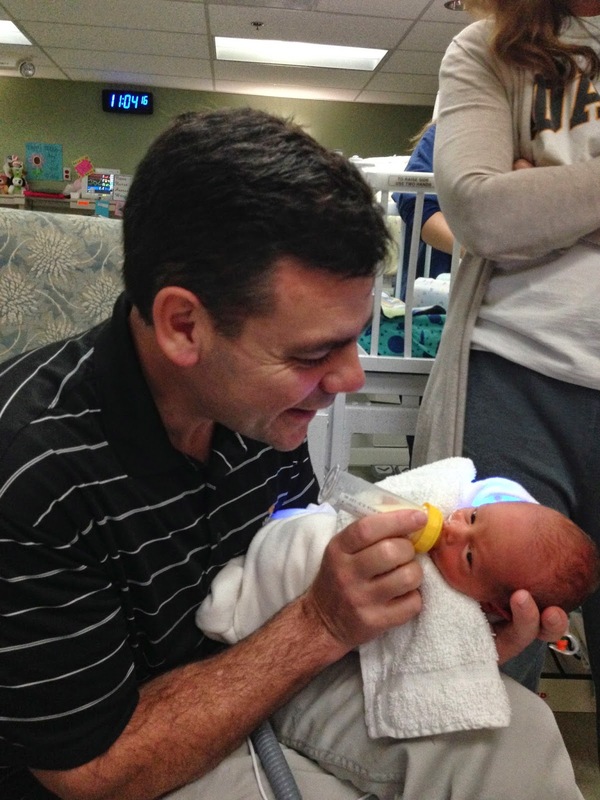 They wheeled me down to the NICU, and while I was still too weak to hold Dru, I got to watch my Dad meet and hold my sweet baby for the first time. My body may have been decrepit and weak, but my spirit felt so happy to watch and feel so much love. David studied most of the day for his finals which were the coming Monday-Wednesday. I was feeling much better, still weak, but being off the Magnesium was such a relief! I was discharged from the hospital. It was bittersweet to get to finally be outside and feel the sun on my skin, but have to leave my baby in the NICU. My mom and I went back and forth from home to the hospital every 1 or 2 hours for Dru’s feedings. He was just so small that sucking and swallowing would wear him out before he got enough milk in his belly. 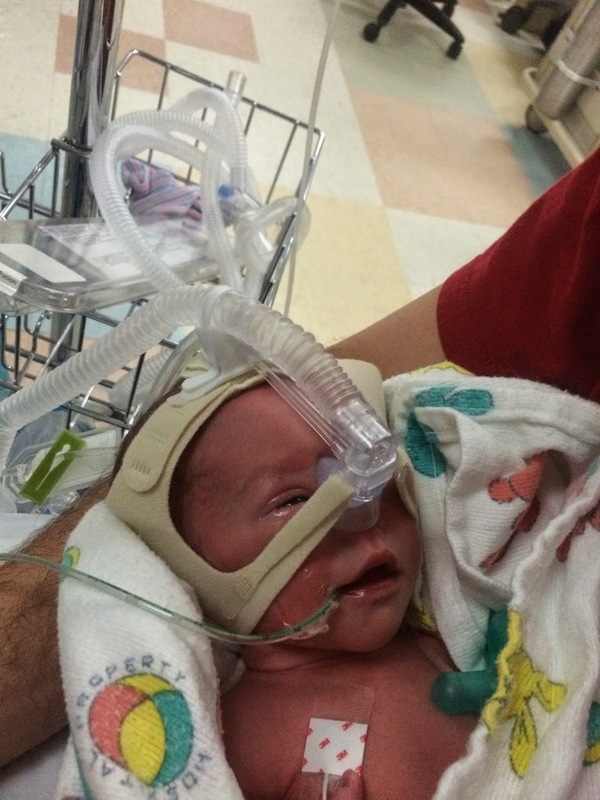 He had a feeding tube to make up for what he didn’t get from the bottle or breast. David took his final Clinical Skills examination and did great! Back and forth, back and forth to feed Dru. He was making progress, but would just get so tired before finishing. David took his 8 hour Case Exam, and only had one left! Same story, back and forth for every feeding. In the morning, David left to take his last 8 hour MCQ final. When my mom and I arrived at the hospital, the Neonatologist told us that he wanted to talk to us about Dru’s test result. He handed me a paper describing an extremely rare autosomal recessive enzyme deficiency that they had confirmed Dru had. Basically he explained that he had never seen this deficiency so he was unable to provide us with any definitive answers. When David’s exam was over, we went back to the Neonatologist’s office so that he could describe Dru’s condition to David. He gave virtually the same vague description of Dru’s enzyme deficiency and told David that all he knew about it came from a scientific journal article, which he gave us to read. He said to get answers we would need to travel to the Mayo Clinic in Rochester, MN where 1 of only 20 pediatric metabolic specialists in the nation would meet with us to explain his condition and run additional genetic and other metabolic tests. Since then it has been a difficult waiting game. 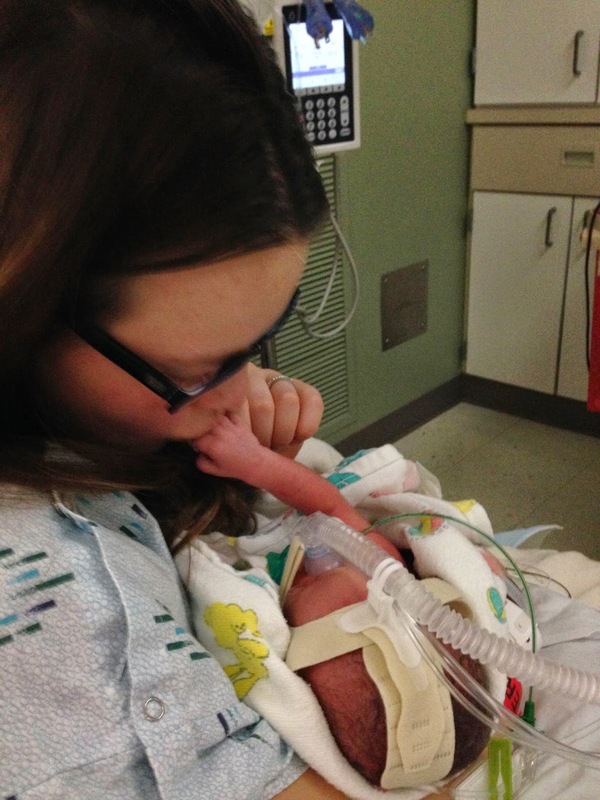 Dru needed to get stronger and learn to eat on his own so he could come home from the hospital. 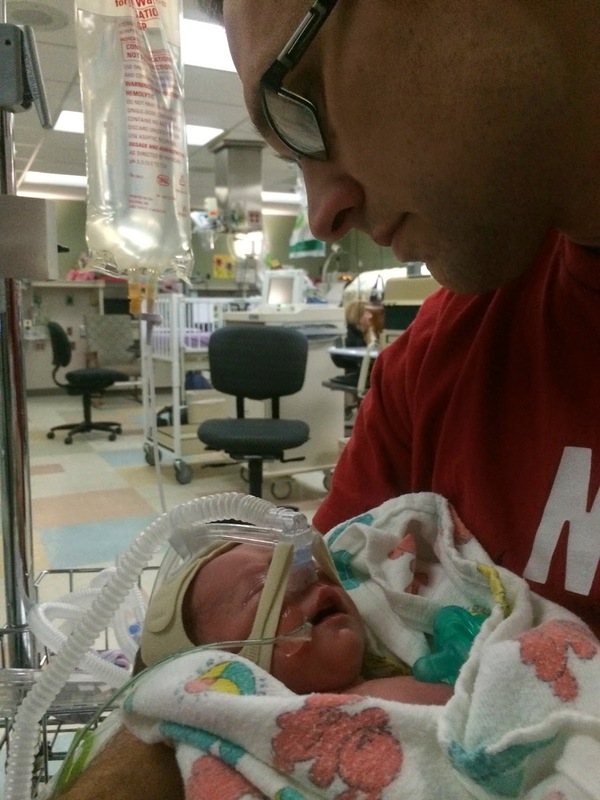 We have basically lived in the NICU trying to help our little boy get stronger. Since the initial diagnosis, we have found out that Dru has an additional enzyme deficiency. I cried everyday I had to leave him in the NICU. Patience has been the most difficult virtue for me to have as we wait to meet with the specialist. We just want answers. We want someone to tell us anything other than, “we just don’t know, we’ve never seen this before”. I’m ashamed to admit how many times I have cried and prayed so many times asking why this all has to be so hard for us. But there have been so many moments when I look into his sweet little face and feel so overwhelmingly that Heavenly Father loves this little boy more than I can even comprehend. He has a plan for him and a plan for me. Dru got to come home! He had taken full feedings for over 48 hours and was cleared to come home! As I buckled his tiny body into his car seat and drove away from the hospital, my eyes welled up with tears as I kissed his little hands. 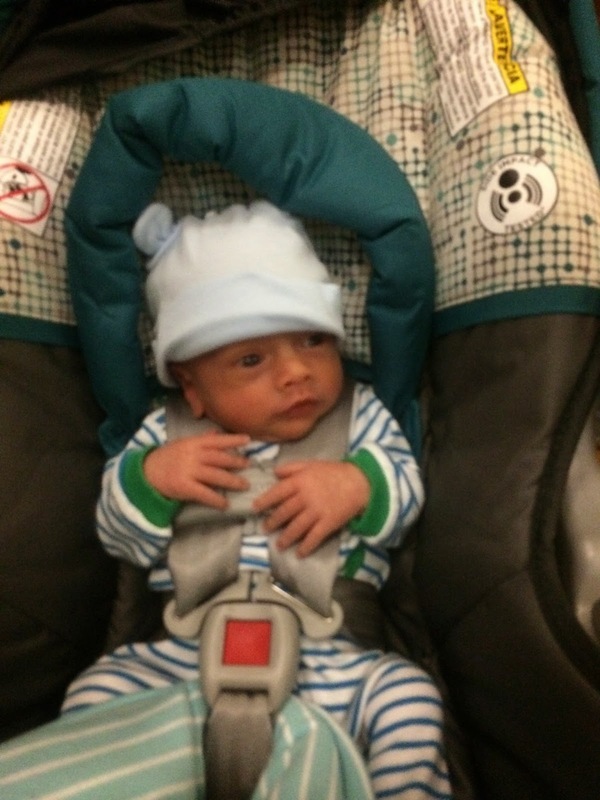 I was so grateful and so emotional to finally, finally take my little boy home. His eyes were wide-open as he took in the world for the first time. It was so sweet to hold his hands and know that I never had to leave him again. We literally did not get one minute of sleep because we would flip on the lights and check on him when he made any grunt or squeak. But I loved every minute of that sleepless night. I got to cuddle my baby for as long as I wanted. For the first time he was all mine.